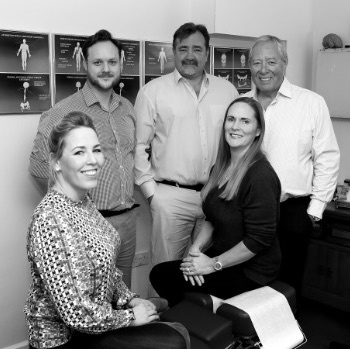 Since 1985 when our principal chiropractor Jonathan Howat took over the practice from Raymond Broome (Chiropractor), Oxford Chiropractic Clinic has been known as a Sacro-Occipital Technique (S.O.T) centre of excellence. Our chief commitment to our patients is to provide exceptional holistic care. We are also the only practice that currently offers Cranio-Fascial Dynamics technique. Oxford Chiropractic Clinic is also a post graduate center for continuing chiropractic education. Our chiropractors receive continuing education and training throughout the year. We see patients with a broad array of musculoskeletal issues. Our highly experienced chiropractors are well versed in providing natural care. Chiropractic care is a noninvasive, gentle and profound way of restoring the body’s ability to deal with various health conditions. Patients who have never experienced a chiropractic adjustment before may be pleased to know that we offer only low-force adjustments without audible twisting or popping. The goal is to provide a minimum number of adjustments to get the most results. We invite you to book an appointment to see if we may be able to assist you in your quest for improved health.